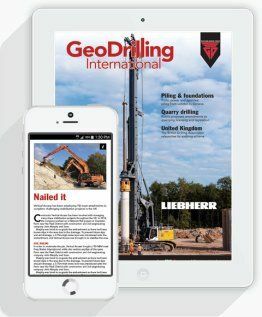 Download the new and updated GeoDrilling International app for your smartphone or tablet to access the latest industry news and insights anywhere, anytime. You can now enjoy reading the content of your favourite magazine on iPhone, iPad or any Android smartphone or tablet device. Download the new GeoDrilling International app today through iTunes AppStore and Google Play app stores.